We have lost ourselves in magazines and books. 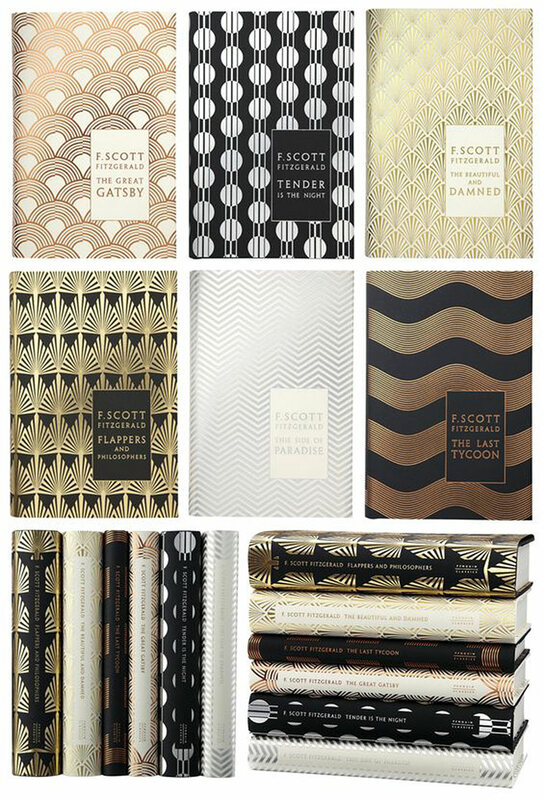 More correctly: on patterned paper on books and (admittedly) also on Pinterest. An adventure is always full of unexpected obstacles (who knows better than the bookworms of this world…) – and so a few weeks passed without Mønster Patterns being updated. Therefore, let us once again inspire ourselves today and throw a few glances at the oldest tradition of patterned paper: the binding of books. 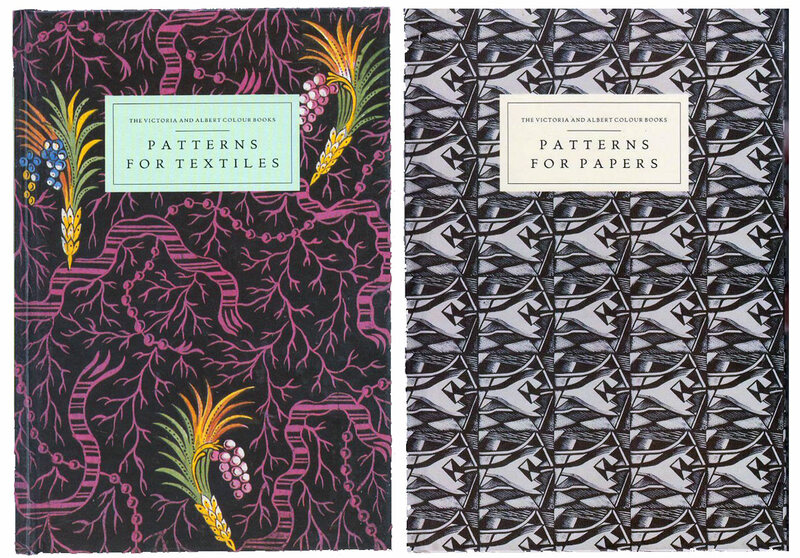 Patterned papers on book covers are the subject of long tradition. All around the world. 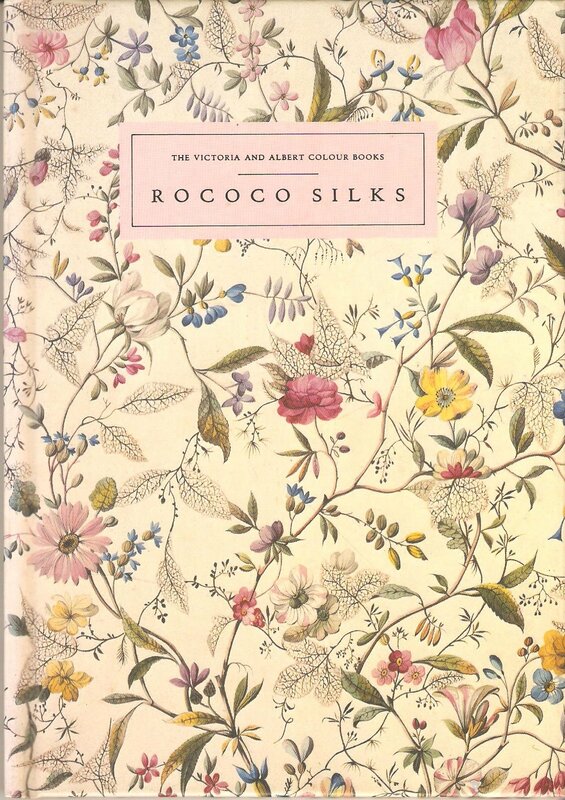 For centuries decorated papers have been used to envelop books that contain all of our stories and fairy tales – all of humanity’s culture. 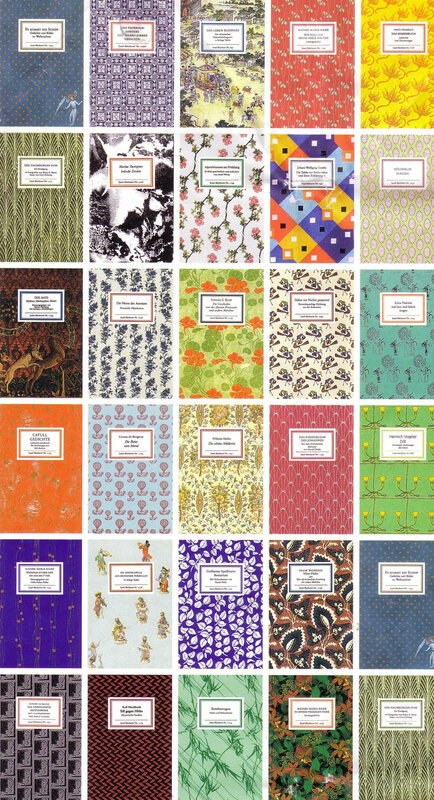 In times past when the printing of photos was simply impossible, patterned papers were a welcome material to get variety, and especially colour, onto the black letters & lead sheets. 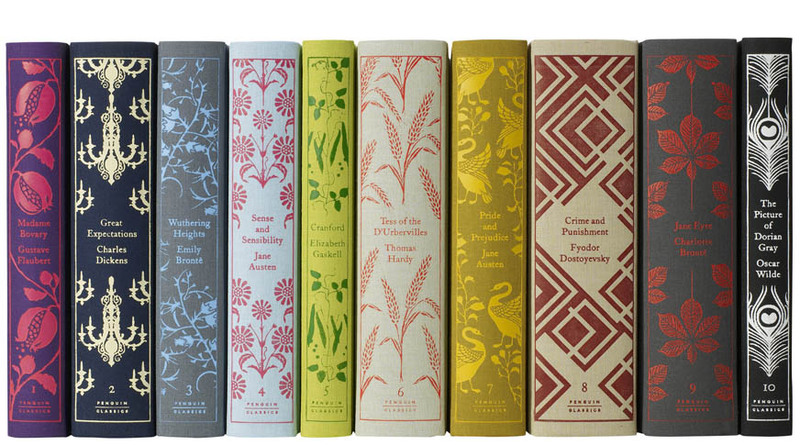 More recently the publisher Penguin Books drew attention with its wonderful new editions of some of their classics from the likes of F. Scott Fitzgerald, Jane Austen, Charles Dickens, Emily Bronté and many more. 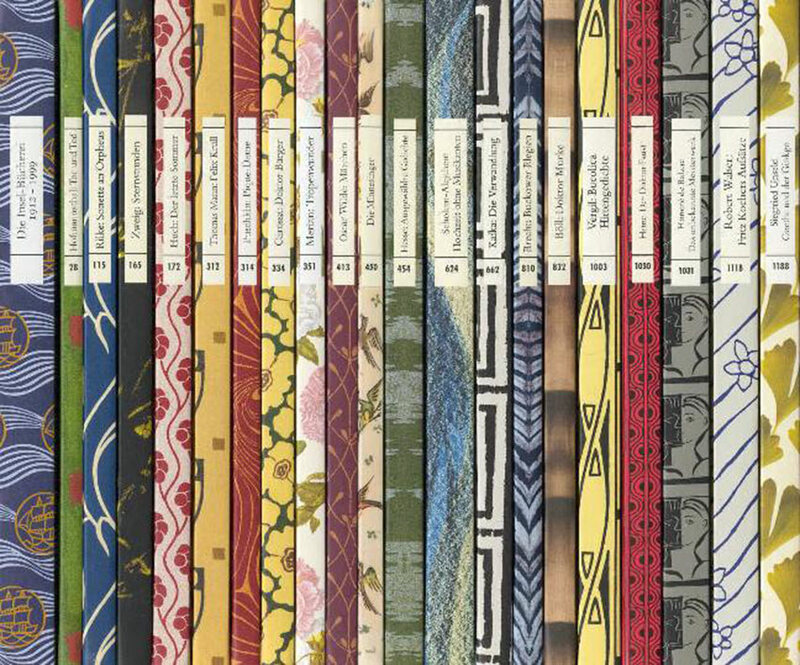 Unsurprisingly, the book market is experiencing a renaissance thanks to such high-quality bound books in a fully digitised world. Book shops have rarely been more beautifully and extensively stocked than nowadays! 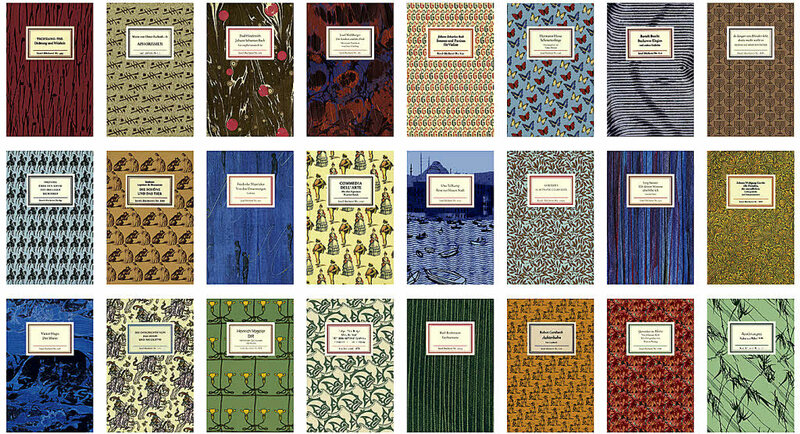 Over and over they can be found on the covers of books: patterns! 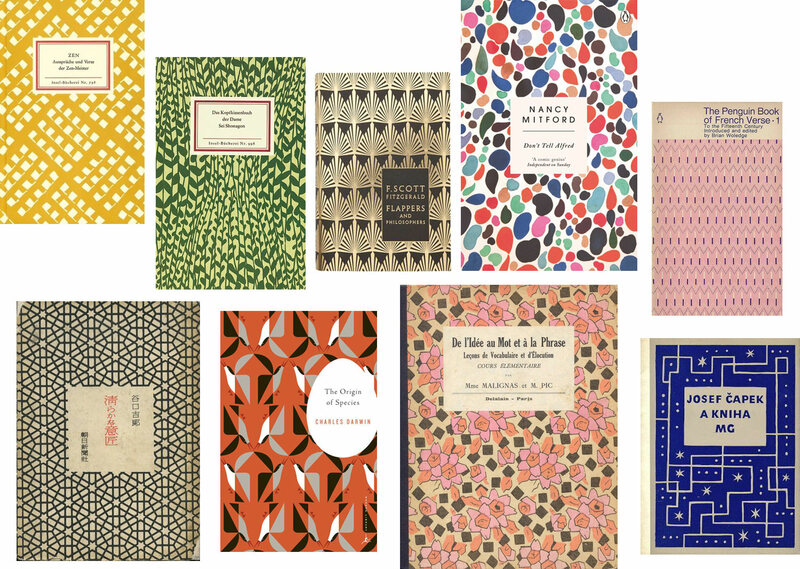 Do you like patterned book covers as much as we do? Are you about to publish a book in the near future? Start browsing our current patterns – they are all ready to be used and celebrated! Be sure to purchase a Pack & Cover License. There will be new designs added to our database soon. Stay tuned!